Dota2 6.82 is a major patch to the most popular game in the world = DOTA 2. This update (Rekindling Soul) introduces a new rune, map changes and hero reworks. 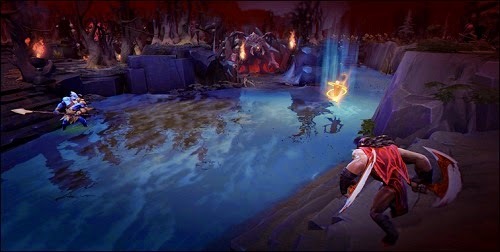 - Added Aghanim's Scepter: Grants Earth Spirit a new ability, Enchant Remnant, which lets him temporarily convert a hero into a Stone Remnant. - Added Aghanim's Scepter: Causes units that are pulled in by Earth Splitter to be disarmed in addition to being slowed. Slow/disarm duration increased from 3/4/5 to 4/5/6. - The following abilities no longer cancel Blade Fury: Chronosphere, Toss, Black Hole, Global Silence, Doom. - Added Aghanim's Scepter: Allows Phoenix to cast Supernova on an allied hero, bringing both into the Sun to be reborn together. This does not refresh either hero's ultimate. 500 cast range. If the Sun is destroyed, both heroes will die. - Empowering Haste can now be cast to improve the Aura by 50% for 6 seconds. 20 second cooldown. After it is used, the aura is 50% weaker while the ability is on cooldown. - Added Aghanim's Scepter: While activated, God's Strength grants an allied aura (900 area of effect) for 40/60/80% of base damage. - Added Aghanim's Scepter: Grants Timbersaw a second Chakram. - Added Aghanim's Scepter: Grants a new ability, Eyes in the Forest, which allows Treant to enchant trees to spy on his enemies and expand the area Overgrowth affects.